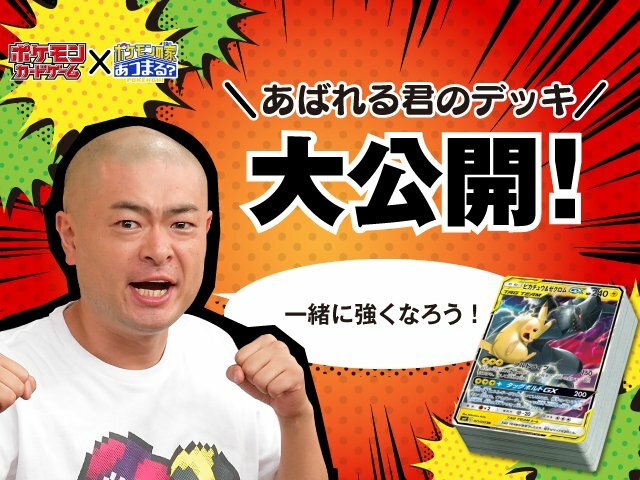 » News » Pokémon Card Game x Pokénchi - Great Reveal of Abareru-kun's Deck! "Let's become stronger together!" Pokémon Card Game x Pokénchi - Great Reveal of Abareru-kun's Deck! "Let's become stronger together!" The official Japanese Pokémon Card Game website has revealed the Pokémon Card Game x Pokénchi - Great Reveal of Abareru-kun's Deck! "Let's become stronger together!". The deck features cards selected the: Night Unison (ナイトユニゾン) SM9A, Tag Bolt (タッグボルト) SM9, Dark Order (ダークオーダー) SM8A and Thunders GX Starter (雷のサンダースGX) SMI sets. 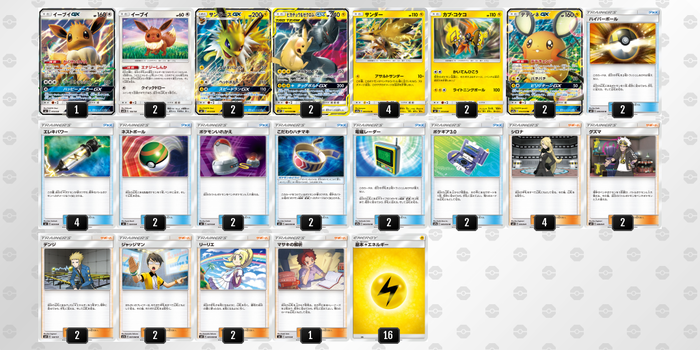 The deck is built around 2 x Pikachu and Zekrom GX Tag Team 031/095 SM9 cards.